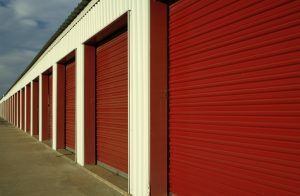 Self-Storage Units - Everything You Need to Know - Columbia Builders, Inc. There are a few things you should know about self-storage units before entering into a contract with a facility. In addition to the 10% of households in the US that utilize self-storage units for their excess belongings, home sellers and buyers often find themselves in need of storage. Whether it’s to de-clutter your home to sell it, or you find it necessary to move into temporary quarters between homes, self-storage can be a great solution. When considering off-site storage, there are a few things you should know and look for when visiting and comparing facilities. First impressions are especially important when considering self-storage options. Is the building in good condition and in a safe, well-lit area? Is the facility regularly cleaned? Are climate controlled units available? If you are storing furniture, artwork, or electronics, climate-controlled space is worth the extra cost. Check to see that relative humidity is controlled as well – essential when storing furniture and personal items. Some facilities will designate you as the only person to access your unit, while others may require you to relinquish control whenever a problem, such as an urgent repair, arises. In addition, the time which you may visit your unit could vary – some facilities offer business hours or appointments only, while others permit 24/7 access. Prior to signing a contract, make sure to clearly understand the terms – whom and when – along with any fees and the cancellation policy. In most instances, self-storage companies prohibit the storage of certain items. These often include perishables, flammables, hazardous materials, and illegal items. However, the facility may have other regulations governing what can and cannot be stored, including a value limit, so be sure that you know any limitations before entering into a contract. It’s a good practice to make a full inventory – with photographs – and document the monetary value of your belongings. Security measures should be a major factor in your self-storage decision. Tall fencing, security gates and cameras, plus smoke alarms and sprinkler systems should be provided. And even with proper security measures in place, be sure to have insurance on your unit in case the worst happens. Many self-storage facilities require tenants to have a full-replacement value insurance policy in effect on their units. Check with your current insurance carrier to see if they offer an add-on package with enough coverage to protect your belongings and provide you peace of mind. This entry was posted on Friday, April 6th, 2018 at 10:20 am. Both comments and pings are currently closed.